May 10th is shaping up as a big day for Xiaomi. Not only are we expected to see the company unveil its 6.4-inch Xiaomi Mi Max phablet (which has been teased by no less than CEO Lei Jun), but we should also see the introduction of MIUI 8. This would be the latest version of Xiaomi's user interface. 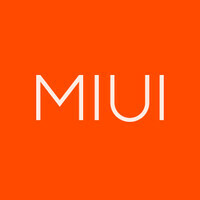 MIUI 7, in case you were wondering, was released last August. MIUI 8 will include a material design revision, a new notifications bar, an improved method of switching apps, new animations and various other changes. Updating the security features of the UI was an important goal for those at Xiaomi who were working on MIUI 8. Meanwhile a video has been posted by Xiaomi showing the Notes app for MIUI 8. A single swipe down opens up a new note, and a double swipe up will delete it. And deleting a note results in a cool shredding animation. We should have much more for you on May 10th when MIUI becomes official, along with the Mi Max. In addition, you can be sure that more leaks will surface between now and then. Keep checking in! Well we won't see this device anytime soon in the US or the UK ( if I am not mistaken) the software is really good though I would be remiss if I said that I did not care that it is missing the Google play services and apps. Who can buy those phone in the entire world except Chinese and Indians anyway! The only markets that matter I guess.